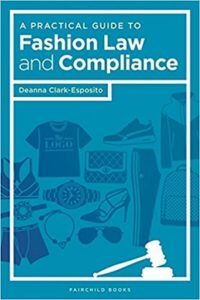 We are happy to share that Adam Varley, co-founder of Vartest Laboratories in NYC has been interviewed and cited in the newly released book by Deanne Clark-Esposito, entitled, “A Practical Guide to Fashion Law and Compliance“. Adam’s comments are part of a Q&A in “Chapter 5 – Flammability Testing and issues specific to children’s products”. This guide can be purchased on Amazon. Click here to learn more about the author, Deanne Clark-Esposito, or Clark-Esposito Law Firm, P.C.